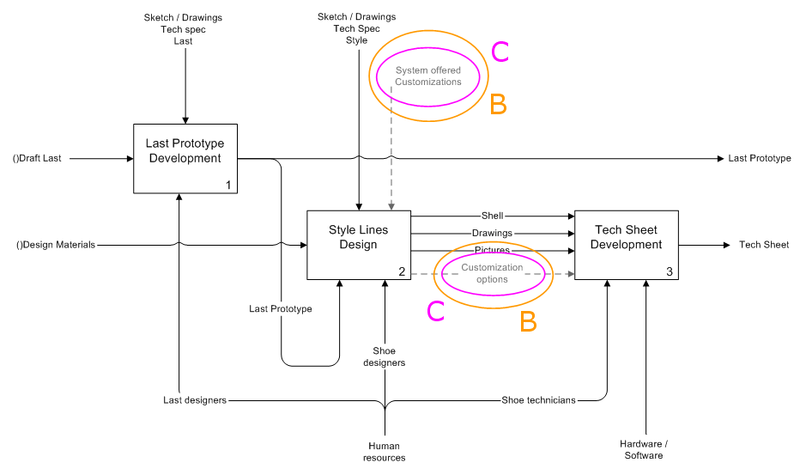 During the style line design phase the designer must consider the customization type offered by the whole system. For instance if the system let the customer to choose the shoe color from a set the designer must define this set of color. Moreover the tech sheet development must consider the customization option provided by the style line designer. For instance if the designers expect shock absorption customization like three absorption level options the technicians must consider that in the tech sheet.